Founded on 1978 by Gianni Versace (he was killed by a spree killer). Versace is now one of the leading fashion houses worldwide, counting with Donatella Versace, the little sister of Gianni as Artistic Director. Besides clothes, Versace has lines of perfums and make up too. 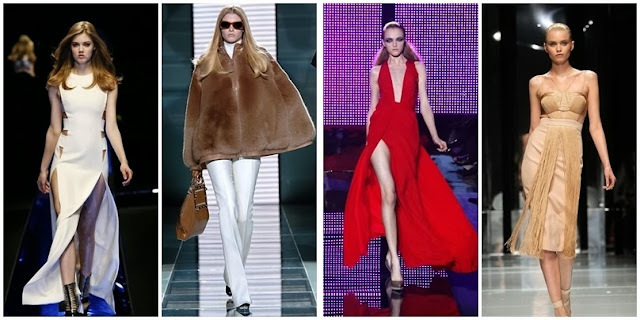 I personally like Versace because of their irreverent clothes, but still classic and elegant. Fundada em 1978 por Gianni Versace (foi morto por um assassino em série). 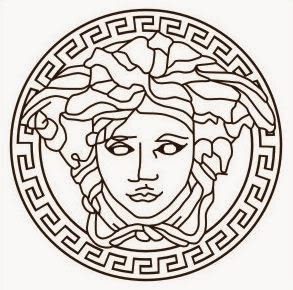 Versace é agora uma das marcas que lidera o Mundo, contando com Donatella Versace, a irmã mais nova de Gianni como Directora Criativa. Para além de roupa, a marca tem também uma linha de perfumes e maquilhagem. Pessoalmente eu adoro Versace por causa das suas criações irreverentes, mas ao mesmo tempo clássicas e elegantes.